← The #6 Truth That You Cannot Ignore! Fresh local food on your table is an old idea made new again! Forming a good relationship is healthy. Forming a healthy relationship with your local farmers is a great way to benefit both of you. The quality of food for your residents is another way of taking the best care of them. The cost may not be more and could be less, saving the cost of long distance transportation and the cost of the middle man. Adjusting the menu to offer seasonal fresh fruits and vegetables puts the joy back into waiting for the season. Cheryl Havens, Registered Dietitian at Providence Benedictine Nursing Center , suggests that you check out their farm to table video on You Tube. They began their journey to introduce person centered dining and transforming their dining environment with a training workshop. The relationship between the farmer and your chef will result in long range planning, knowing when particular foods are scheduled for harvesting. Buying local also encourages the farmers to expand the variety of produce they grow. One farmer takes pride in his 1,000 year old heritage cornmeal, passing the information to the chef who passes it along to their residents1. Many are interested in the back story of the food they are enjoying. They pass the word along to their guests and visiting families, taking pride in it. 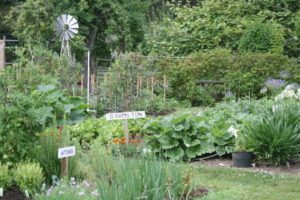 Also, choosing to make sauces, dressings, and desserts in your own kitchen, instead of buying frozen from big box stores, can save money and utilize herbs and vegetables from your own community garden. Incorporating Truth # 1, in our series of 6 Truths About Your Business You Cannot Ignore, where your dining room is your best marketing tool, you can trade a bit of advertising with your farmers. When your community name is listed as one of their steady customers, you will be reaching more potential clients without spending a cent. In turn, the farmers will be credited when it becomes known that you trust them to sell you the best of their produce and animal products. It’s all part of the Kind Dining® journey. Everyone wins!